Pre-ordering is an amazing thing to do for authors - whether from Amazon or (preferably) your local bookshop. It builds up the publishers' faith and means they print more. So Suzannah would be forever grateful if you'd preorder a copy. What's it about? Here's the official blurb. 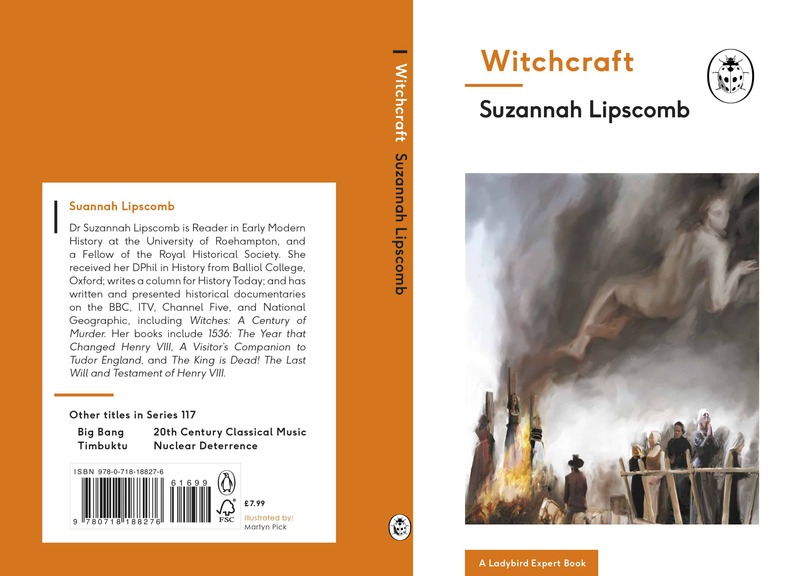 In a short volume that can be read in one sitting, Suzannah has tried to explain why - at one moment in history - huge numbers of people were persecuted, prosecuted, and executed for witchcraft. It hadn't happened before; it hasn't happened since. Why did it happen then? The really wonderful Martyn Pick, who has a style that blends realism and fantasy in a way that makes his illustrations powerful means of telling the story of witchcraft and the witch-hunts.